Yes, we do custom work. And we can ship anywhere on the planet. 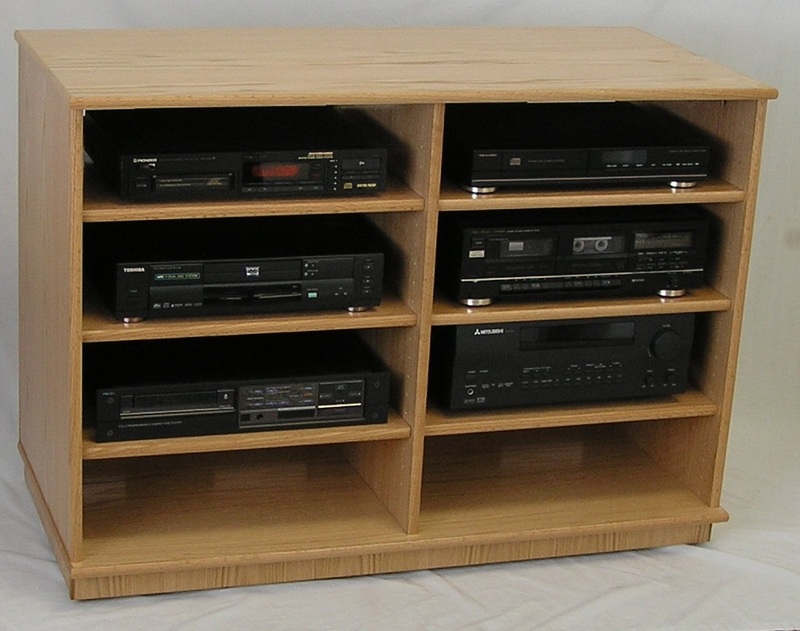 We can make stereo cabinets, entertainment centers, wide screen television cabinets, CD DVD cabinets, bookcases, complete wall systems, and widescreen tv cabinets—any kind of cabinet you’d like. We love a challenge. And our purpose-built factory is equipped for it. Our main wood saw is nineteen feet square! We can produce your designs in any kind of wood, and from our decades of experience, we have contacts for sourcing just about anything. We can do custom colors in the Minwax Wood Finish palette. Or we can do custom colors in any solvent using the tried-and-true Lockwood Aniline Dye Stains. We can also do any acrylic latex color. Just tell us what you want. We color, sand, and color again. The final clear topcoat is a Sherwin-Williams professional acrylic urethane satin gloss. We cure it with ultraviolet light. It’s an exceptionally durable, no-emission finish. Turnaround on custom pieces is usually one month. Custom colors take a little bit longer. For custom work, we’ll quote you a price that excludes shipping. We require a deposit of half the quoted price up front. We build the piece, but before we finish it, we email you a photo. After you approve it, we disassemble it, finish it, pack it with TLC, weigh it, and provide the cost of shipping. Upon receipt of the remaining half of the deposit and the cost of shipping, we ship your work along with easy assembly instructions. We’re here to support you as you set up. Here's our SC1952 finished in a Minwax Golden Oak on red oak. 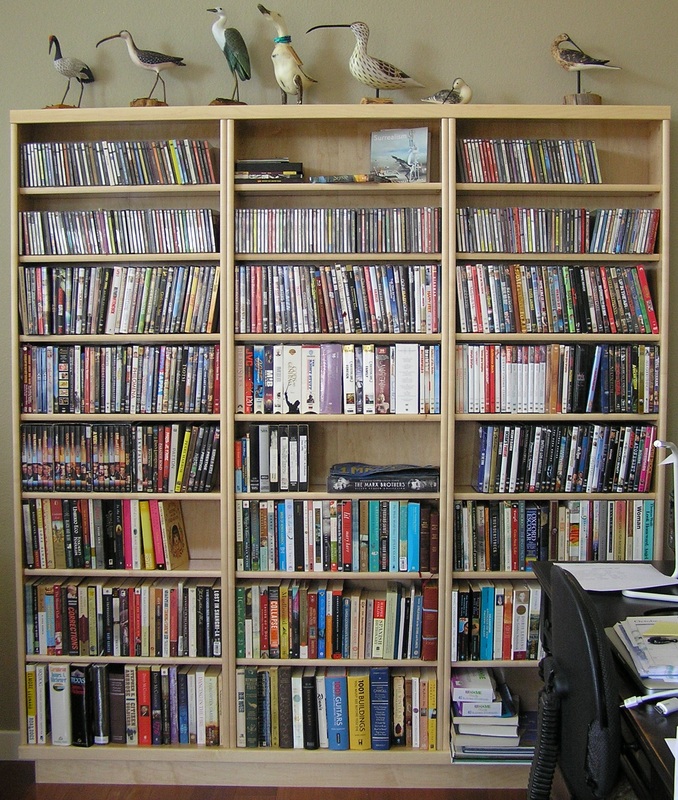 The shelves are 18 inches wide for typical modern home theater components. This is the same SC1953 cabinet in Minwax Golden Oak with clear tempered glass doors and wooden doors to hide a record collection. Custom made but such a great idea that we now offer it as one of our a regular products. 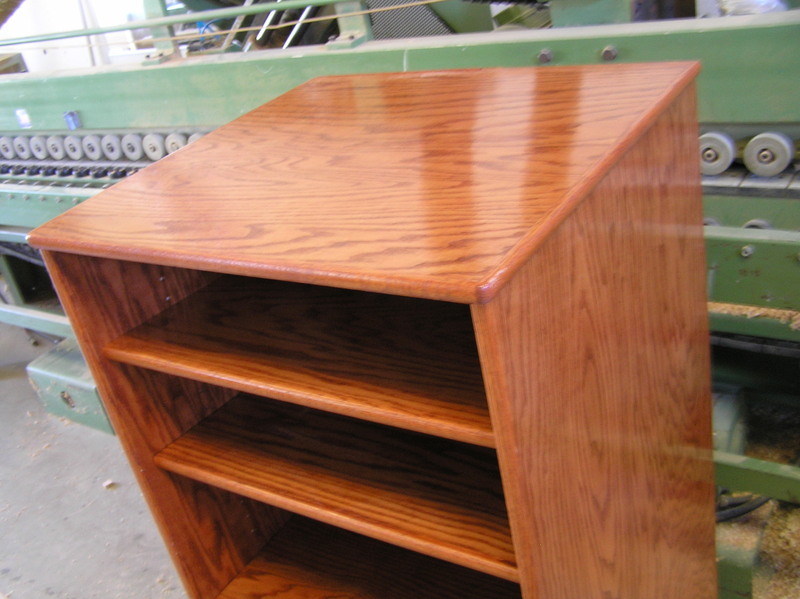 This is a top detail of an entertainment center we made finished in Minwax Gunstock Oak. It's sized for a large vintage Kenwood reciever collection. 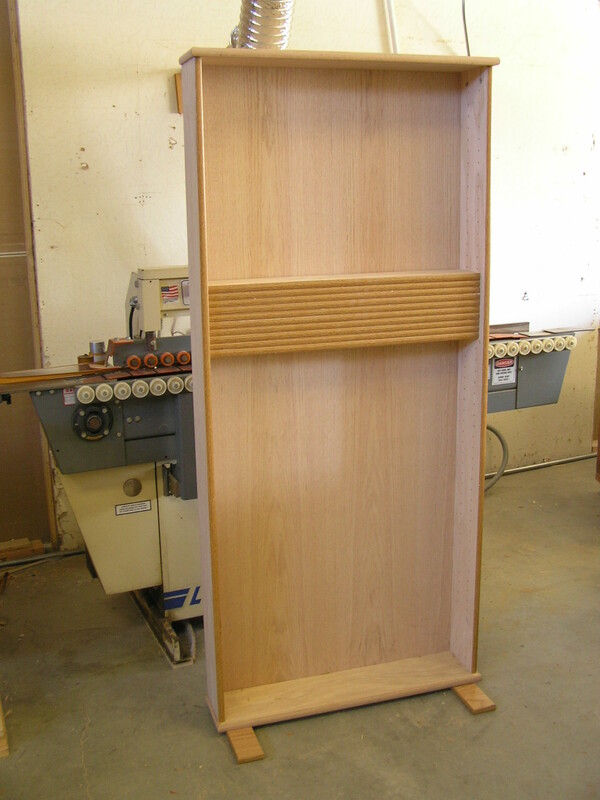 This is an Oak cabinet we made for a customer who wanted it to double as a room divider. It was his design. 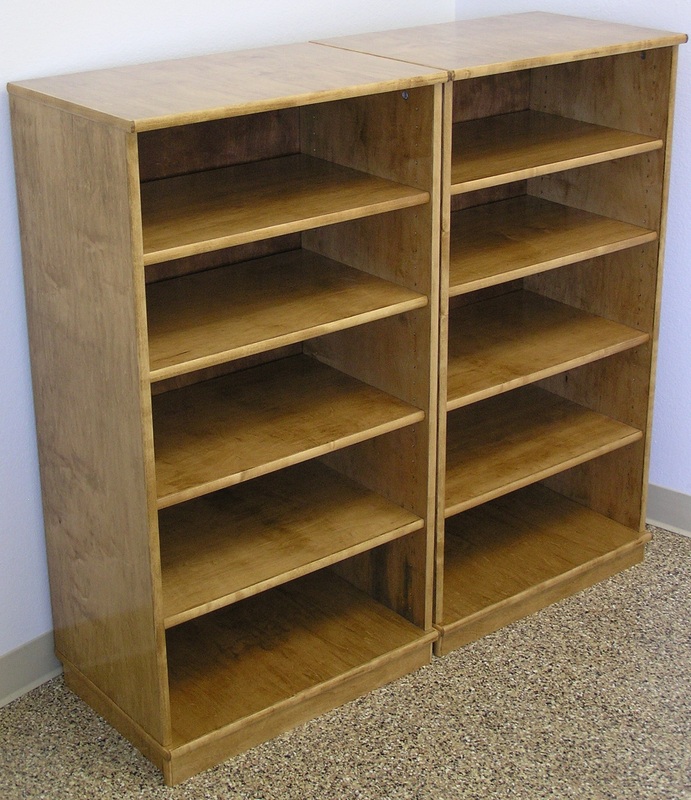 This is an unfinshed oak DVD bookcase we made for a San Francisco apartment. It needed to fit in a certain spot. She was so happy with the result, we ended up making quite a few cabinets for her. This is an oak stereo cabinet with a black satin finish we made for a client with a collection of vintage Sony recievers and components. We had to make it extra large because those early Sonys were mammoth! They're still beautiful, though, and still producing exceptional sound. 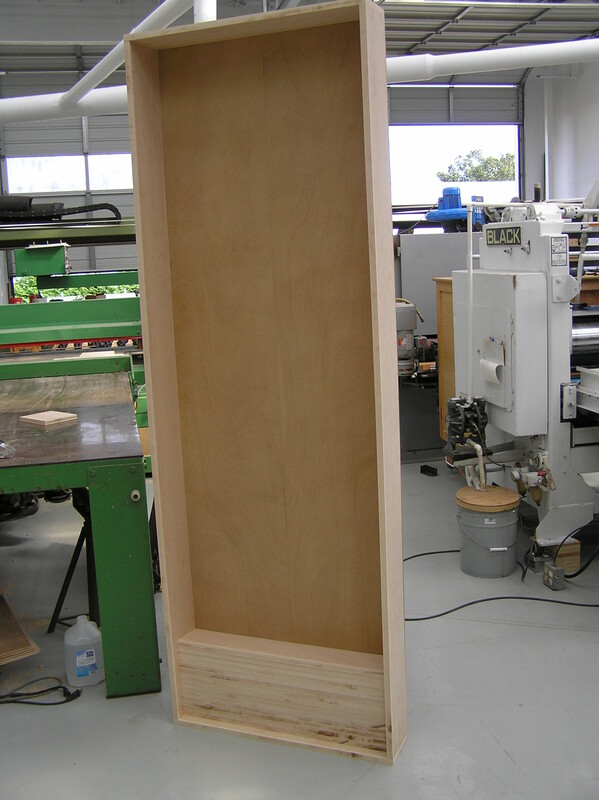 Here's what the customer had to say: "The new cabinet arrived with zero damage. Everything looks great, and I'm digging the black finish. I'm thrilled!" This is a six-foot high SC2272 entertainment center finished in Minwax Gunstock Oak. The pigments in the stain have a nice balance of red and brown. The summer and winter grains on the oak contrast nicely. All the exposed edges were capped with solid oak so we could do our trademark rounded edge. This unfinished maple bookcase is eight feet tall. 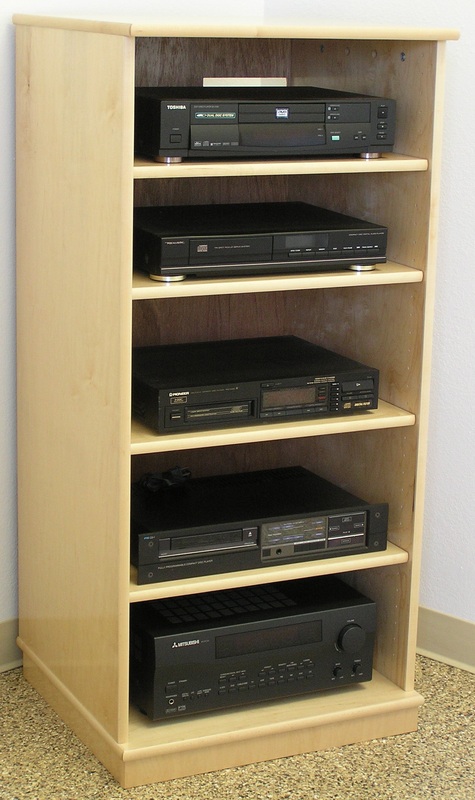 We can make them even taller, although it's more economical shipping-wise to make stacking units. After we took this picture, we sanded it to a bright white and gave it a beautiful clear satin finish. Here's a maple lowboy bookcase with adjustable shelves and a clear satin finish we made for the same San Francisco apartment mentioned above. 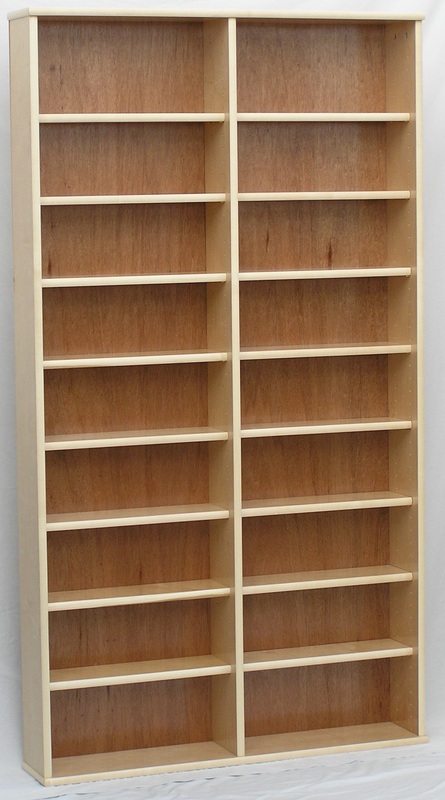 Here's maple bookcase number two for the same San Francisco apartment. It's bigger and sits in the same room with the bookcase above. This is BC1330 black on oak with a satin finish. I apologize for the reflections. Light streams into our factory through the clear overhead skylights, which makes photography a challenge! 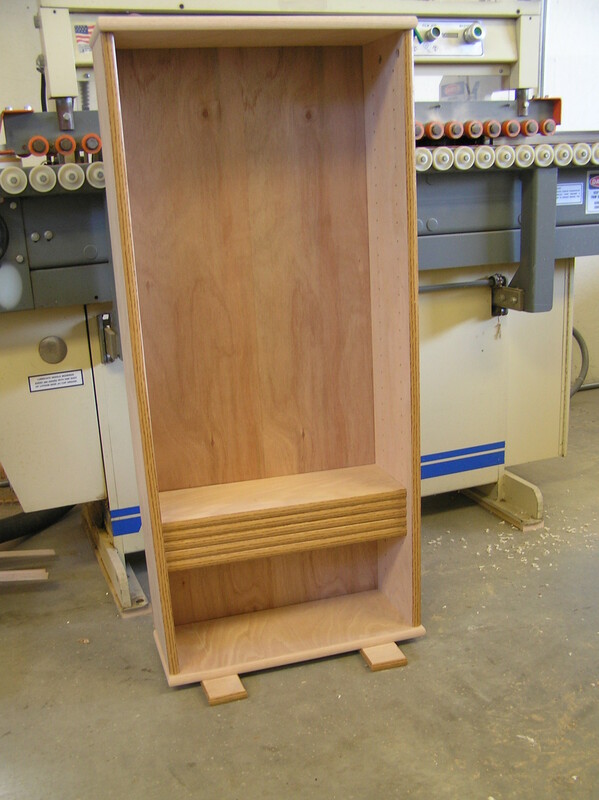 Here are two custom maple stereo cabinets for each side of a customers fireplace niches. There are custom cut outs in the backs for her pre-wired sound system. A Minwax Gel Stain would have yielded a more even stain coat on maple...but this is the color she wanted! What you see is our best effort and a perfect satin top coat, as always! We are here to serve. This is a SC2248 in maple with our standard clear satin finish and hard rock maple edging. The contrast with the black stereo components is nice. This is our SC2230 in a Minwax Ebony stain with satin gloss top coat. The summer grain is a very dark brown, while the dominant winter graining is black. I love the nice organic finish, which shows off the natural wood grain beautifully. In fact, liked it so much, I added this piece in this finish to our product line. Imagine pairing this finish with our gray tint glass! Here's the SCDW33 in Minwax Golden Oak with satin top coat. A wide flat screen TV would go on top nicely or can be wall mounted above. There's plenty of storage for an extensive home theater entertainment center. This is the SC2272 in maple with a clear satin finish. All the edging is in quarter sawn hard rock maple with some figuring and flame in the grain. Nice! Maple like this is a standard selection of our entire line. This is a 72-inch high x 40-inch wide maple DVD cabinet we made in midwestern soft maple to fit a specific spot in an apartment. The customer was delighted! 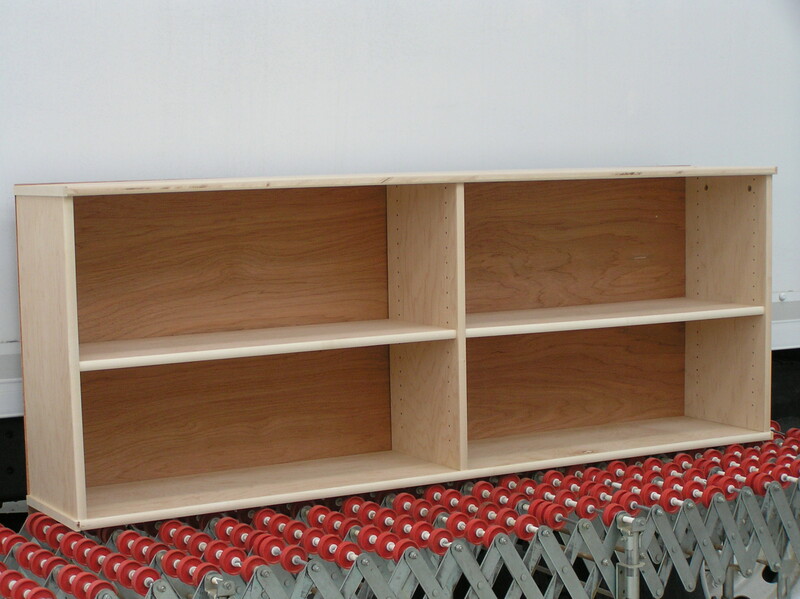 We added a middle divider to eliminate any shelf sag risk. The edge banding is hard rock maple with some figure because it ends up quarter sawn. The back is luan plywood. 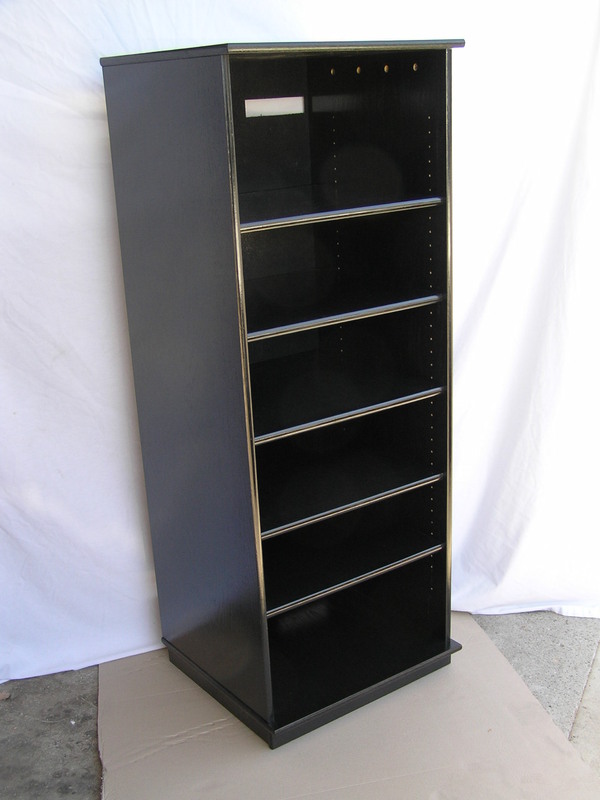 Here's 36-inch wide by 30-inch tall cabinet for a record collection. It's finished in our standard light brown oak with clear satin top coat. 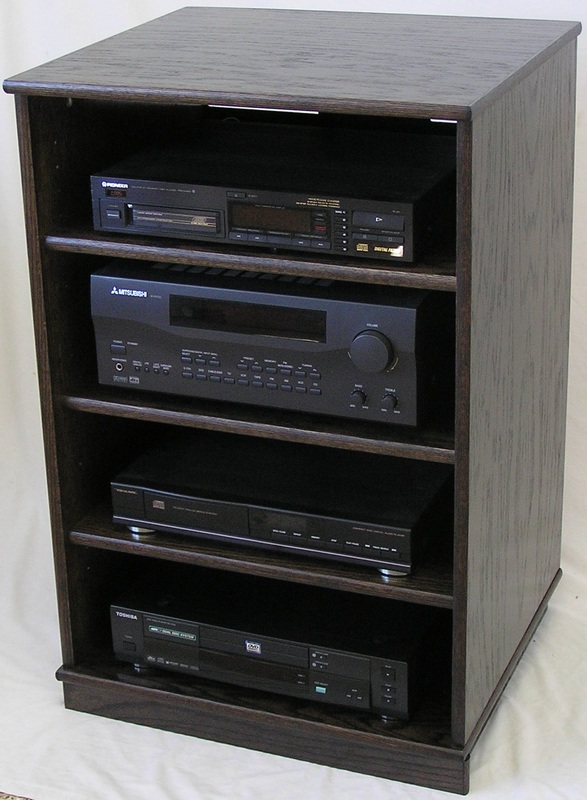 This will match the stereo cabinet the customer bought from us previously. It's low enough to fit under a window. 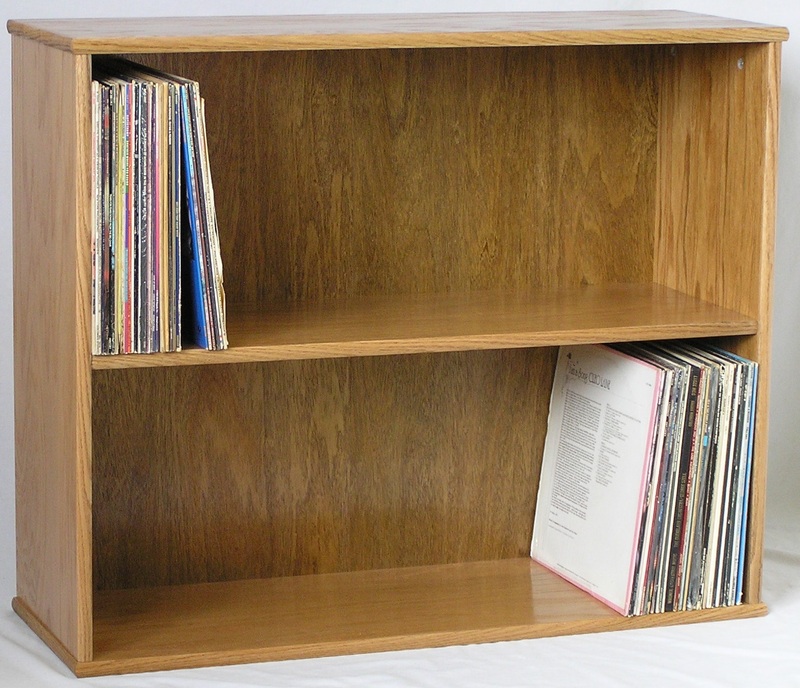 Here's what the customer had to say: "I received the record cabinet yesterday and assembled it last night. It went together fine and it looks great. Thanks very much!" This is the model SC1973 with full length glass doors and 11-inch high wood doors for reel to reel tapes, DVDs, and headphones. I finished it in Minwax's Ebony Wood Finish with our satin top coat. Although I built it as a custom project, once again, it was such a wonderful idea that I added it to our product line. 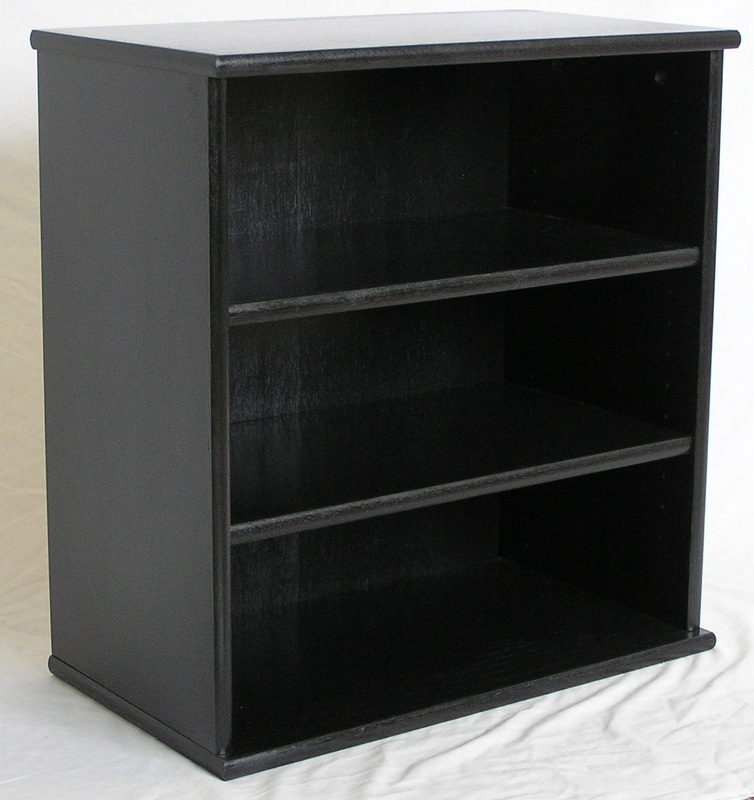 This 73-inch tall cabinet has 18-inch wide shelves for modern components. It can display a complete sound system in a minimal footprint. Here we did a single door pane in gray tint for a 53-inch high stereo cabinet. It has black hinges and a magnetic touch latch. It works beautifully, and there were no issues with shipping it. Consider this door when ordering! 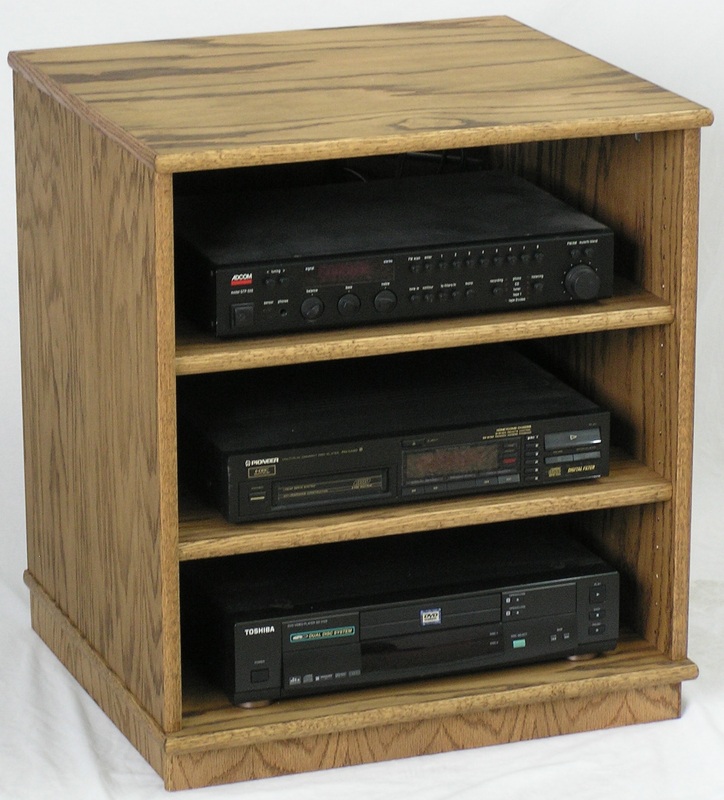 We did the this 27-inch high model SC2224 stereo rack in a hand rubbed Minwax light walnut stain that accents the summer and winter grains nicely. 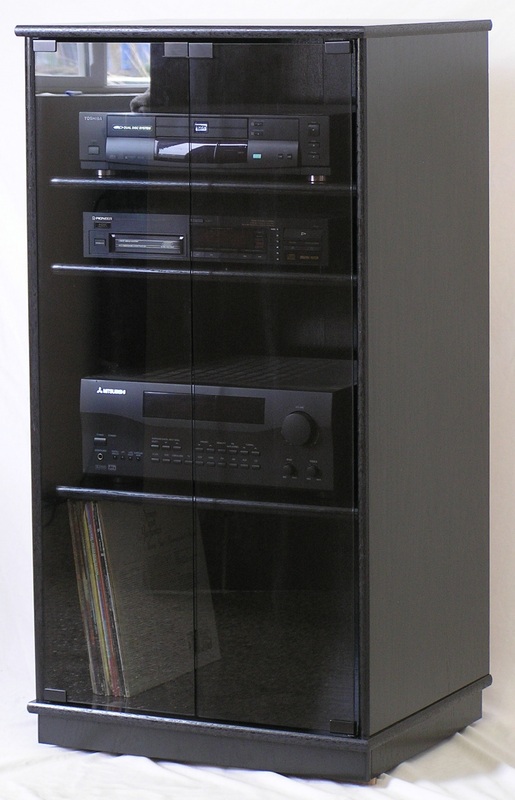 Here's a black oak stereo rack with gray tint tempered glass doors. It's 45-inch high x 19.5-inches deep x 21-inches wide. 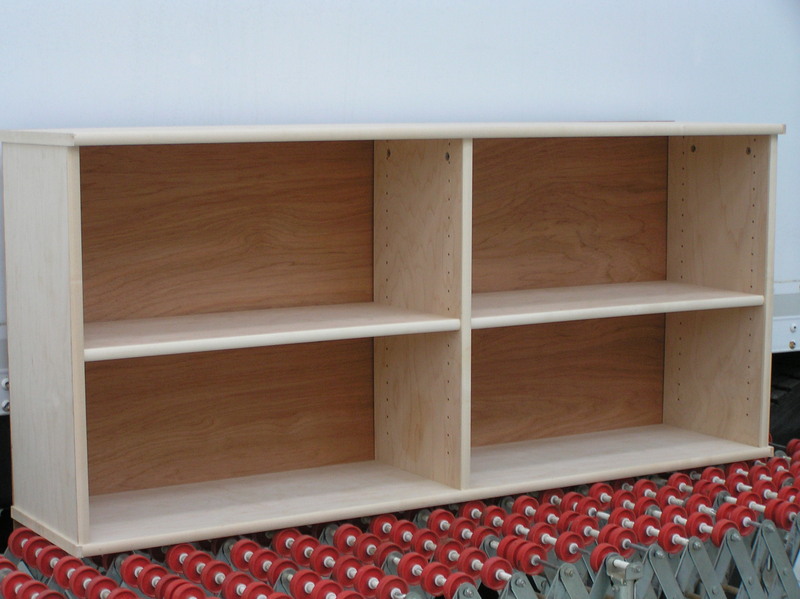 The customer requested three shelves for a Macintosh system. I bet it sounds real nice! This is our regular BC772 DVD bookcase in maple finished with Minwax Sedona Red and full length gray glass doors with all black hardware. 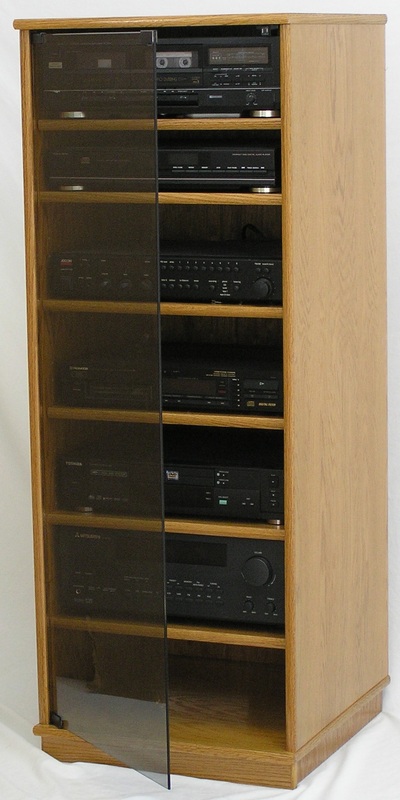 Here's a black oak SC1953 stereo component rack we finished with a satin lacquer top coat.